You can now quickly create albums to collect items of any kind in NeoFinder. Some other programs force you to create new databases for that, but with NeoFinder, you only need one single database for all of your work. For example, create albums to collect your photos of bridges, or the work you are doing for a particular project, or all movies of a certain director. You can add any file or folder from NeoFinder to your albums. Both will create a new, unnamed album for you. 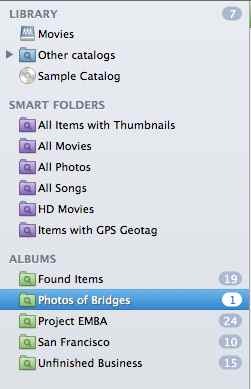 The number on the right side of that list shows you how many files or folders you have already placed in that album. 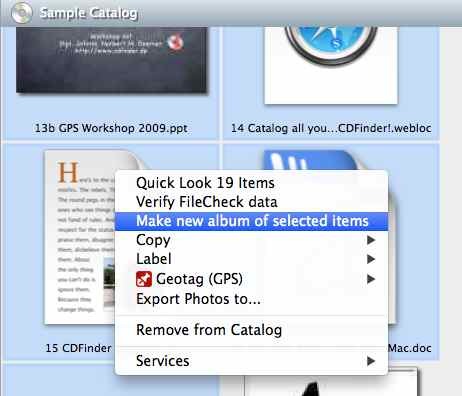 Remove items from albums by simply selecting them in the album, and using the Command-Delete key. This will not remove the original item from your catalog, but only the item from the album. The albums are always connected to the database you have used when you created them. 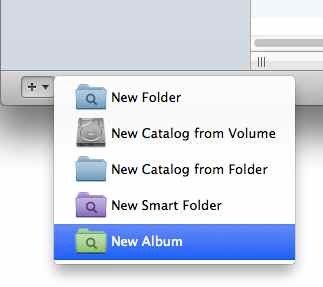 If you use several separate database folders, only the albums of the same folder will actually work. 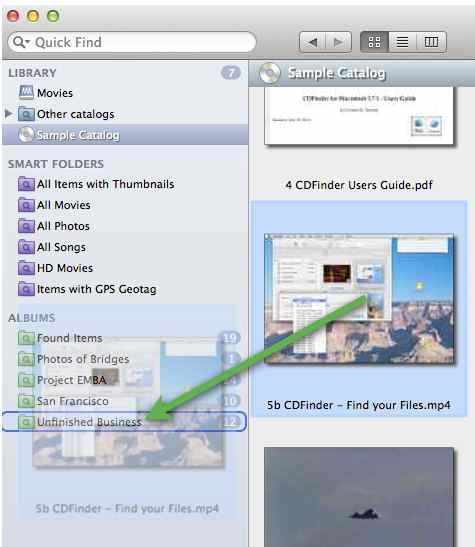 In that case, place the Albums in a special location inside your database folder. You can transfer the albums to other computers using the exact same NeoFinder database, please contact us on how this can be done.